If you’re a Doctor Who fan, you’ll understand. But the point now is that I’m illustrating a children’s book about bees. I’ve never drawn bees before, so this is a challenge. This might sound crazy, but most of the time, I don’t actually think I can draw. I do draw. I mean, I draw trees, castles, bunnies, and flowers. But I can’t draw the way I really want to. So many of my lines lie dead on the paper. Then after many dead drawings, something works, and I’m filled with relief. Whew. But I want to challenge myself and get better. It’s sad when people say they can’t draw, when they tell some story from grade school that killed their inner artist. Why let that person who said whatever it is they said to convince you that you had no talent, why let them get the better of you? Get some paper, sit down, draw. Sure it might be terrible, and it most definitely won’t match the beautiful image in your head, but my art never, ever, matches what’s in my head, but I keep trying. I throw away a lot. A lot. Seriously. Eventually an image turns out right. Give yourself a break. Then train. Practice. But I went way off topic. All I wanted to say is that I’m trying to draw bees, so I’m trying something new. If you want to see the other books in the series I’ve illustrated, go here to Plum Tree Books. The bee story is going to be wonderful. As soon as we have our first bee, I will post it! I just hope I can draw a good bee eventually. You had me at Dr Who. 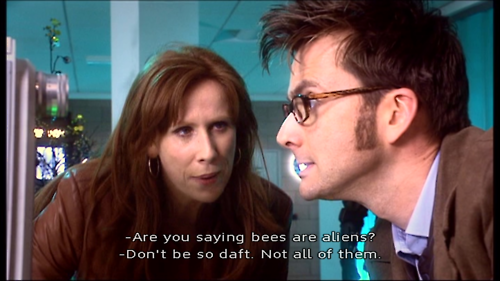 First off, love the Doctor Who reference because I always think “why the bees are from Melissa Majoria of course,” when someone mentions bees. But, anyways. I constantly tell myself and others I can’t draw, mostly because I’m terrible at it. But today I sat down and I drew a woman’s face. Who? No idea, but I sat down and drew her and coloured her in with pencil crayons. It’s not good, it have no skill, but it’s something. Hurray for drawing. You should try it again! And I love it when I can make a Doctor Who reference. In my real life, very few of my friends get them. It’s been a while since I dropped by, but I love your art. So good to know that you’re illustrating books! Go, you!